The Supreme Court rejected Apple's appeal and won't hear the case, leaving in place the original settlement from 2014, according to Bloomberg. Apple filed its appeal all the way to America's highest court last October, in hopes of having the $450 million settlement overturned. Per the terms of the 2014 settlement agreement, Apple owes $400 million to e-book consumers, $30 million in legal fees, and the remaining $20 million to states involved in the lawsuit. 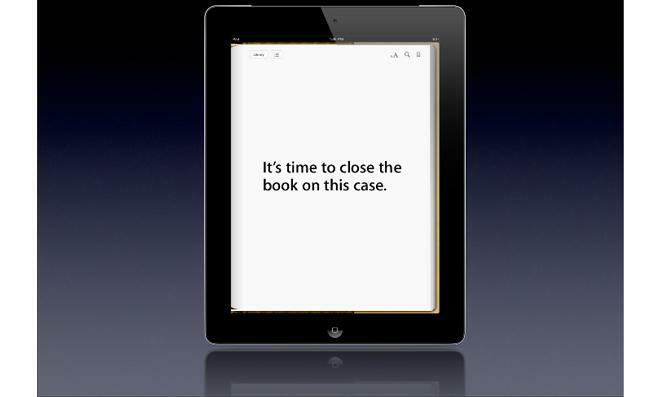 In July 2013, U.S. District Judge Denise Cote sided with Justice Department and found that Apple conspired with publishers to artificially inflate e-book prices, based on evidence like emails from former CEO Steve Jobs. Although Amazon's then-standard $10 price tag was allegedly the main target, Apple's tactics forced standard prices up several dollars across the industry.